Posted on 22, February 2016 by EuropaWire PR Editors | This entry was posted in Electronics & Machinery, Germany, Turkey and tagged Arçelik, Arçelik A.Ş., Beko, Grundig. Bookmark the permalink. ISTANBUL, 22-Feb-2016 — /EuropaWire/ — Grundig, which was born in Germany and has been continuing its activities under Arçelik A.Ş. since 2007, now expands its network in Turkey with all its product groups in its 70th year. Grundig, which made a distinguished name for itself with its high-performance, high-quality and durable products was presenting only certain product groups in Arçelik and Beko stores. Performing its activities with the reassurance of Arçelik A.Ş.’s manufacturing quality and widespread service network, Grundig has met with consumers in TeknoSA and Bimeks stores in addition to Arçelik and Beko stores with all its product groups as of January 2016. Grundig features a product range in all fields of home electronics and strengthens its position in global markets each day with the innovative products that it presents. Having won consumers’ hearts with its modern and stylish designs, high product quality and superior technology, the brand keeps on surprising the users with unique and new product features. Being distinguished with product features, Grundig stands out with technological features in home electronics that make the lives of the users easier. Providing both the best cooling conditions and a long keep-fresh period for foods with the Duo No Frost technology in all its refrigerators, Grundig also lowers the power consumption by 40% even in washing machines with the highest energy efficiency level thanks to the Inverter Eco Motor. This technology also extends the life of the washing machines. Being appreciated with a consumer friendly product also in tumble driers which are equipped with a delicate and fast drying feature, Grundig also offers drying performance at low temperatures and prevents creases thanks to the Innovative Single-Touch Drying Technology. And Grundig dishwashers are thrifty and silent with 10L water consumption and a 43dBA sound level. New Grundig televisions with Ultralogic 4k processors raise the bar in terms of graphical performance and user-friendliness. 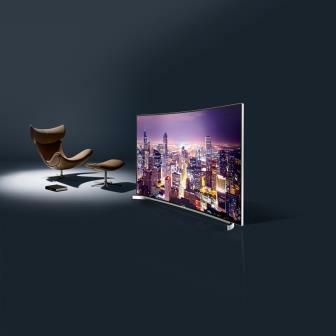 Starting applications and switching channels are much faster now with Grundig televisions. 4k Ultra HD content can be received from satellite or cable broadcast simultaneously through HEVC and displayed on television at Ultra HD quality. You can enjoy the full screen image with the HD technology of your television and view the images with more saturated colors, higher contrasts and natural motion plans with a 4 times higher resolution compared to Full HD. In new FineArts curved televisions a fresh new and exciting experience is awaiting you. Being active in the fields of consumer electronics, white goods and audio and video systems, and known all around the globe with its electronic products, Grundig has operated as an Arçelik A.Ş. company since 2007. The Grundig brand which is sold in more than 65 countries all over the world, is offered at Arçelik and Beko stores and in selected chain stores in Turkey under the Arçelik A.Ş. name and with the reassurance of Koç Holding. Focused on users, Grundig is identified with the phrases of high performance, quality and durability thanks to the experience it has gained over many years. Grundig wins the consumers’ hearts with its modern and stylish designs, high product quality and strong production values. And it manages to continuously surprise its users with unique and new product features. Grundig continues its support in sports by being the first “official technology partner” of the German Football League, the Bundesliga, since 2011 in Germany and sponsor of the Fenerbahçe Volleyball Branch since 2011 in Turkey.